There are widespread differences between Brazilian and European Portuguese, most notably in pronunciation and vocabulary. Although Portuguese as spoken in Brazil and Portugal (and several other locations around the world) is essentially the same language, there are many differences between dialects. 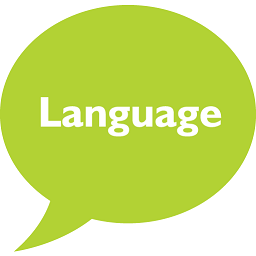 That means getting your business’s message across clearly is a job for a native speaking linguist with experience of the target local market. Here are just some of the differences you will need to take into account. A handful of words are spelled differently across the continents. This may occur as a result of differences in pronunciation. For example, ‘reception’ is receção in European Portuguese but recepção in Brazilian, reflecting the audible ‘p’ sound. Loan words may also be treated differently across the two dialects. European Portuguese is less inclined to adopt new words, so there are more foreign words in Brazilian Portuguese. Where they do occur in both, the spelling may be different, as in the case of mídia (Brazilian) and media (European). A common source of errors can be the position of certain pronouns that, depending on context, can be joined via a hyphen after the verb, or come separately before it (clitic pronouns). The latter is more common in Brazilian Portuguese, though clitic pronouns are used with the future tense. Denominative verbs are more common in Brazilian Portuguese – where a noun is turned into a verb (think ‘to email’, ‘to lunch’). Thus parabenizar is used to mean ‘to congratulate’ someone in Brazil, whilst the equivalent expression in European Portuguese is dar os parabéns. Some terminology can be completely different, whereby a Brazilian native might not understand a speaker of European Portuguese. The word for ‘brown’ is marrom in Brazilian Portuguese, for example, but castanho in European Portuguese. A fridge is a geladeira in Brazil but a frigorífico in Portugal (in Brazil, frigorífico in fact means a meat processing plant!). This can easily lead to confusion! In European Portuguese, tu is used only informally, generally for friends and family. Use of você and tu in Brazil vary according to area. There are significant variations in pronunciation between Brazilian and European Portuguese. Most notably, different vowels that are pronounced distinctly in Brazilian Portuguese can sound similar in European Portuguese, making them hard to distinguish. In other cases they may be slurred or barely pronounced at all. The word for cake, Bolo, is pronounced bohloo in Brazil, but more like burl in Portugal. This can make it easier to learn and understand Brazilian Portuguese for beginners. The -te sound at the end of some words is pronounced more like -chy in Brazilian Portuguese, but -t in Portugal; the ‘e’ is not vocalised. Words ending in ‘s’ are pronounced differently; dois (‘two’) sounds more like doysh in European Portuguese. When you are creating materials for a Portuguese audience, it is vital that you find native speaking translators who can ensure that you engage effectively with your target market. There are numerous differences in both the spoken and written language, and your message is unlikely to resonate with your intended audience if it is not prepared with them specifically in mind. It’s also important to know that it can often be easier to translate a text from scratch rather than try to convert it from Brazilian Portuguese to European, or vice versa.